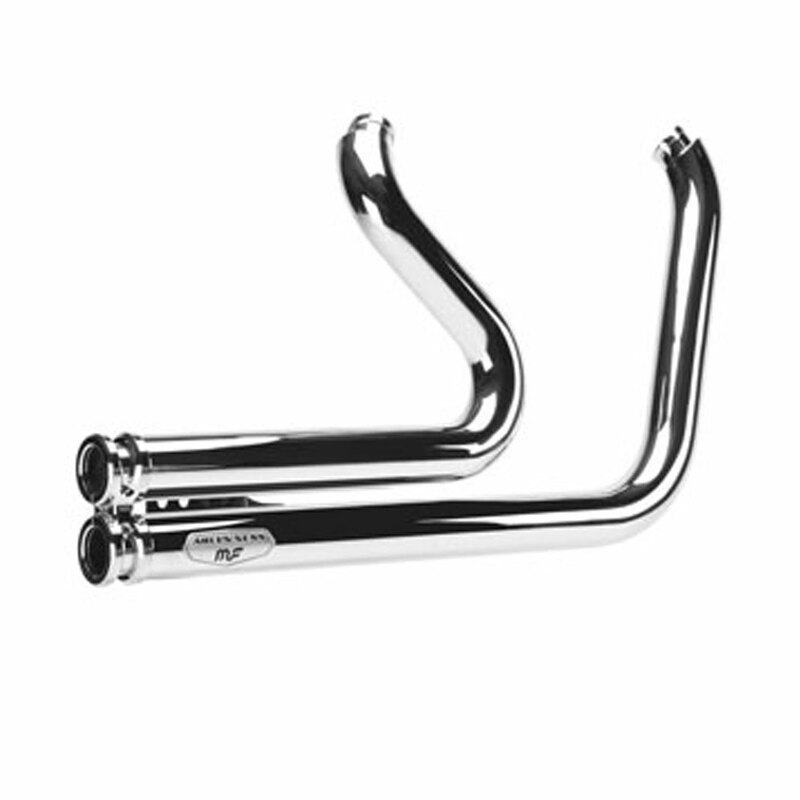 Give your Dyna® a true custom look with the Arlen Ness by MagnaFlow® Lowdown exhaust system. Give your Dyna® a true custom look with the Arlen Ness by MagnaFlow® Lowdown exhaust system. The Lowdown features the innovative custom look Twin Clamp and is designed with sweeping bends for a smooth, powerful look. Packed with performance and style, the Lowdown is designed to increase flow, power and overall performance while delivering deep, rich sound quality. Custom inspired design with large sweeping bends. Trend setting chrome billet twin clamp gives a custom look at the end of the pipes. 12mm and 18mm oxygen sensor ports. 2 1/4" Full coverage heat shields. 2006-16 Dyna® (Excludes: Switchback. Excludes all 06-07 models with mid controls).